Having surgery is surely no picnic. Prior to an operation feelings of fear and anxiety are common. You may worry about a variety of things before the surgery, such as surgery risks, pain management, as well as having questions and concerns about managing your post-operative medical needs. If the goal is to minimize the time spent in a hospital and get home as soon as possible, then consider using a private nursing service that can care for you in the comfort of your home. 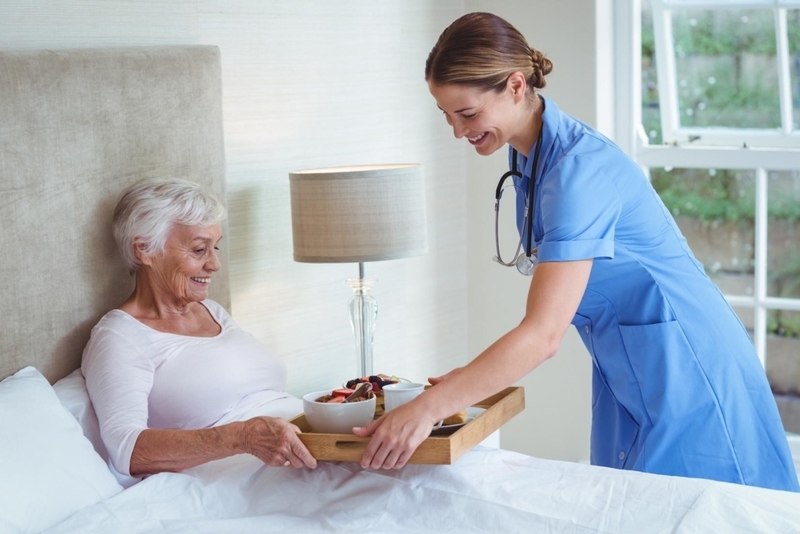 Once you have decided that an in–home skilled nursing service is what you desire, there are certain steps to take to ensure the post-surgery phase goes smoothly. In order to successfully hire a nurse after surgery, you should first interview the home healthcare management team and discuss your anticipated needs following surgery. Share with them what your projected recovery time will be and what restrictions or physical limitations you may experience postoperatively. This preparation and planning allows you to relax and have complete confidence that all your needs will be met when the private nursing team is caring for you after the operation. Why Hire a Nurse After Surgery? Having surgery is stressful enough and recovering in a sterile hospital environment can only add to the stress. The lack of creature comforts in a hospital room, possibly having a noisy roommate, and disrupted sleep amidst the commotion of a hospital can make recuperating at home a great idea. A skilled nursing team can come in to your home to provide all the post-operative care you would receive in a hospital setting. These trained professionals can tend to your medical needs while you heal in the privacy and comfort of your own home. The private nursing provider will also provide a home health aide to take care of bathing, dressing, light housekeeping, and running errands. What do In-Home Private Nurses Do? When you hire a nurse after surgery they will be attending to all your basic post-operative needs. These duties include wound care, dressing changes, assisting with drains, helping you get around safely in your home, managing your medications, and carrying out the doctor’s post-surgical instructions. As licensed and trained post-op nurses, these providers will be observing your progress, noting any significant changes or issues, and communicating with your doctor. The primary goal of a post-operative private nurse is to provide maximum comfort while managing pain and observing your healing progress. Even the most basic tasks can be difficult after surgery, so having the nurse there to assist you is essential. In-home private nurses can also provide companionship, even assisting you when you feel up to going outside or taking a short stroll. Having your own private nursing team can be very comforting to someone who is recovering from surgery. The nursing team can interact with your spouse or family members to show them how to manage care in the nurse’s absence. The professional nursing support promotes peace of mind for both the patient and the family members. A private nursing service will also coordinate other service providers, such as a physical therapist, and occupational therapist, or a social services worker. Some in-home nursing services offer concierge services, such as holistic therapies that enhance relaxation and healing, which can also be arranged by your team. Overall, recuperating in your own home with skilled post-operative nursing services is beneficial to your recovery. Kinkaid Private Care provides specialty post-operative nursing care in the comfort of your home. The network of private duty nurses and home health professionals offers the support and care essential to a full, healthy recovery after surgery. Kinkaid Private Care also coordinates concierge services such as guided meditation and IV vitamin therapy to elevate care to an even higher standard. For more information about our extensively trained and experienced private nurses for your post-operative needs, please contact Kinkaid Private Care today at (877) 388-6373.